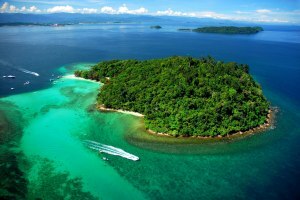 This tour comprises of a 3 day 2 night tour to the rustic town of Kota Kinabalu. The capital of the beautiful Sabah state, the journey takes you to see the historical, tropical as well as exciting part of this urban town. Famous for its serene tropical beaches and fresh seafood, this is truly a destination you do not want to miss. As you arrive in the vibrant Kota Kinabalu city, proceed to check in to the hotel. If it is still early, visit one of the many local restaurants for lunch. 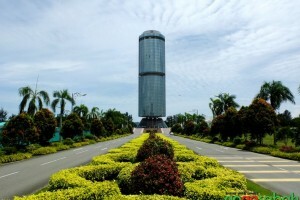 After check in and refresh, proceed to visit the Yayasan Sabah Tower, the tallest building in the city of Kota Kinabalu. Formally known as Menara Tun Mustapha or the Sabah Foundation Building, this 30 storey circular glass marvel of architecture was built in 1977. It towers above the city of Kota Kinabalu at 122 meters across the Sabah skyline, and is one of the few hanging type structures in the world. Then, head over to Likas, to see the Floating Mosque, one of the few unique floating Islamic houses of worship in Malaysia. The structure in itself is a sight to behold, as the perfect symphony of sea and light reflects its pearl white shadow onto the surrounding man-made lagoon. 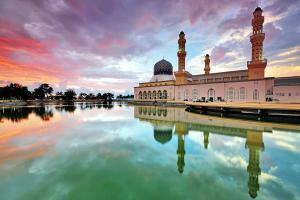 The mosque is also the largest in Kota Kinabalu, with a prayer hall that can accommodate up to 12,000 people. After lunch, proceed towards the Poh Toh Tze Temple. The spectacular ancient Buddhist temple is popular to many of the local Chinese worshippers, with its vividly carved rooftops imbued with elegant Eastern culture, as well as the pillars and walls that have a distinct Chinese flavor. Inside the compounds lay 10 huge statues of dainties – including the Goddess of Mercy who welcomes all visitors to the temple. After the temple visit, head on to the Handicraft Market, where you can get great bargains at the selection of stalls selling interesting and skillfully crafted items, from bags to jewelry to artistic works of art. The market itself is housed within a wooden structure, with unique pointed arches that juts out of its main building. This is a perfect place to get souvenirs and gifts. Another market that is worth to visit is the Seafood Market, where visitors can find wide variety of fresh seafood for sale at discounted prices. After that, proceed onwards to Signal Hill – a hilltop point which gives you a birds’ eye view of the panoramic Kota Kinabalu city skyline, its vast surrounding greenery and exotic tropical islands. The hill is the highest point in Kota Kinabalu and is a perfect spot for photo shooting. In the evening, proceed for a sumptuous seafood dinner in the town of Kota Kinabalu and enjoy the sights and sounds as dusk approaches. No trip in Kota Kinabalu is complete without paying a visit to one of its seafood restaurant. After dinner, back to the hotel for refresh and relax after a fun filled day in KK. After breakfast, proceed to the Jesselton Point Jetty Terminal for a short boat ride to Tunku Abdul Rahman Marine Park. There are several islands within the marine park and you can choose from a combination of islands from which you can pay a visit to. These islands feature pristine shallow waters, rich coral gardens and white sandy beaches. For those who enjoy and more adventurous can opt to participate in the many sea activities here. Snorkeling and diving are two of the most popular activities in Tunku Abdul Rahman Marine Park. If you want to just relax and unwind, then kick back and chill along the white sandy beach, and bask in the warm rays of the tropical sun. 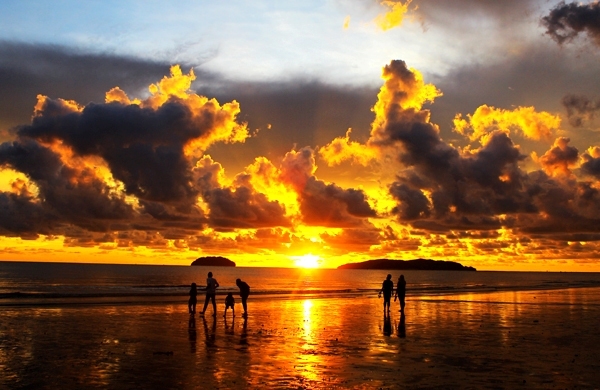 In the evening, proceed to Tanjung Aru Beach to enjoy the spectacular sunset. Take a slow stroll along the beach and feel the romance in the air as the sun sets slowly from the far end. 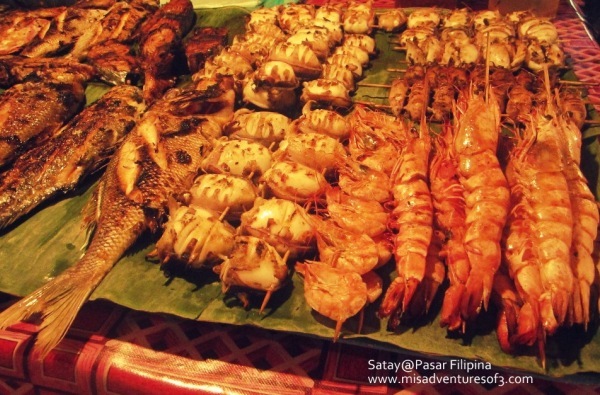 After a full day of fun, continues your journey with a night market visit – the Filipino Market. The market is packed to the brim with stalls which sell dried seafood, arts, craft, food, fruits, antiques and so much more. Find a good bargain, as well as experience the sight and sounds as busy trades take place right before your eyes. This indeed is the best place to experience the culture and the lives of the Sabahan people. Start the day with a meet at the hotel lobby for transfer to Tanjung Aru Railway Station, one of the oldest operating railway systems in Sabah (since 1896). 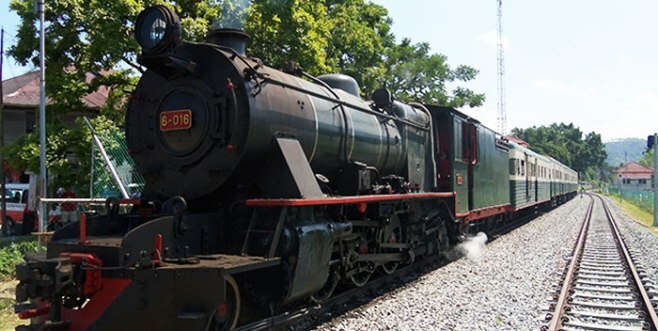 Upon arrival, board the vintage steam train, as it departs from Kota Kinabalu south bound onto Tenom at Pangi Station. The journey is approximately 134 kilometres across the Sabahan country side. A wholesome breakfast will be served on board. Originally used for the transportation of tobacco, it still serves as a reliable mode of transportation for the locals heading to the suburban areas of the region. Proceed down to the town of Papar, where the tracks lead you on to the serene countryside, and you make a stop at the town of Kinarut. Be in for a special treat, as you will be served a colonial-style lunch on board – known as the Tiffin. Enjoy the feast as you are surrounded by the peaceful scenery of the countryside from the comfort of your seat. Once the train arrives back at Tanjung Aru Station, proceed to head on home with your belongings. Bid farewell to the wonderful town of Kota Kinabalu, as you bring along with you the sweet memories of the journey here.